The scene on the installation day was no different than a Canadian Home makeover show. The before-and-after speaks for itself. 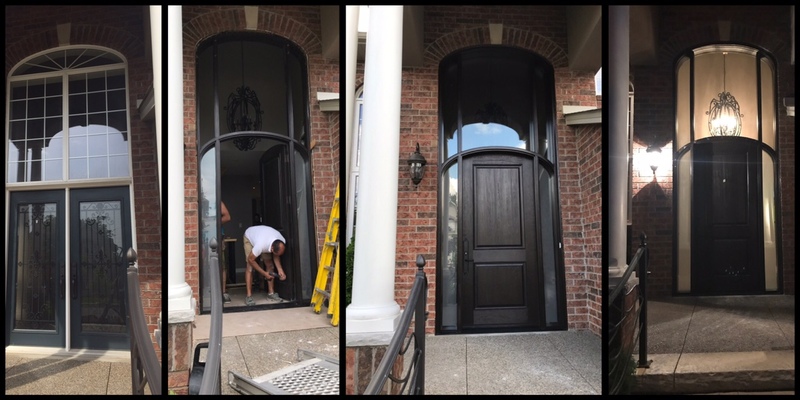 Unlike other projects around the house that can go on for weeks and months, your new front door will be done within a day or at most 2 days. 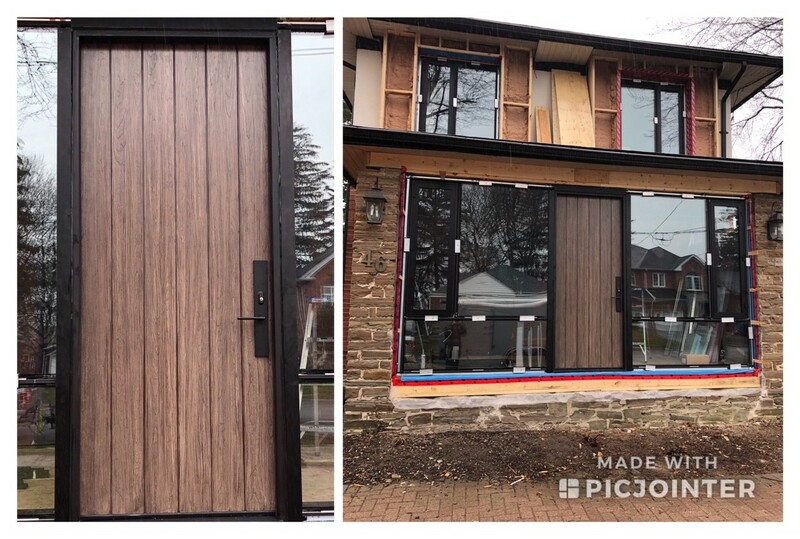 This particular project took 1/2 day to tear out the existing door, 1/2 day to install the new door and couple hours the next day to finish off the the exterior trim work. 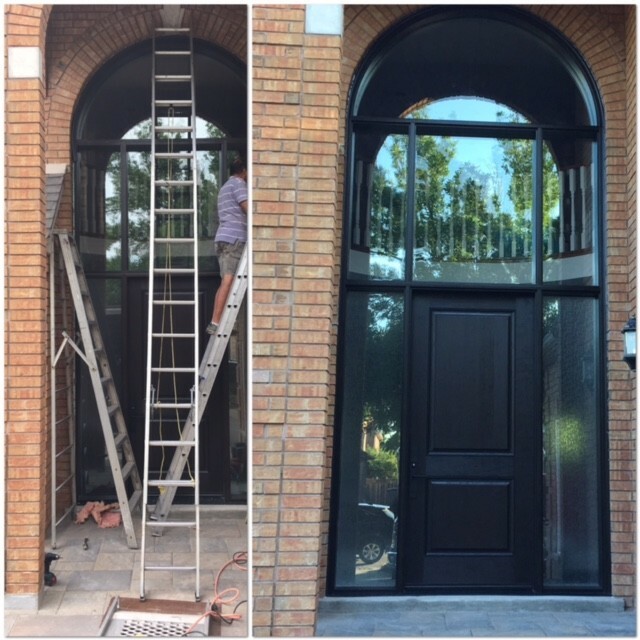 Most regular size doors are installed within few hours. The Mastergrain Wide Plank has a thicker skin of fiberglass and provides a subtle rustic look and feel. This door makes this home standout in the neighborhood. It has a completely different look from the traditional 2 Panel door. We have acquired numerous other customers on the same street in Stouffville ON. It feels good when we see people value the quality we, as a company provide. Our team did a fantastic job. The project was completed in 1.5 days. The steel reinforced Composite frame worked extremely well in supporting and distributing the heavy load of the transom across and down the vertical support. It ended up being a beautiful transformation. Our highly experienced craftsmanship will make the entire project seem effortless. We handle the project from start to end. We tear and dispose of the existing door the morning of the installation and our factory assembled door is carefully put in place, leveled, foamed and the trim is finished in and out. By the time we leave your home it will feel like we were never there except that you’ll be opening your door to friends and families with pride. Get the wood look without wood. 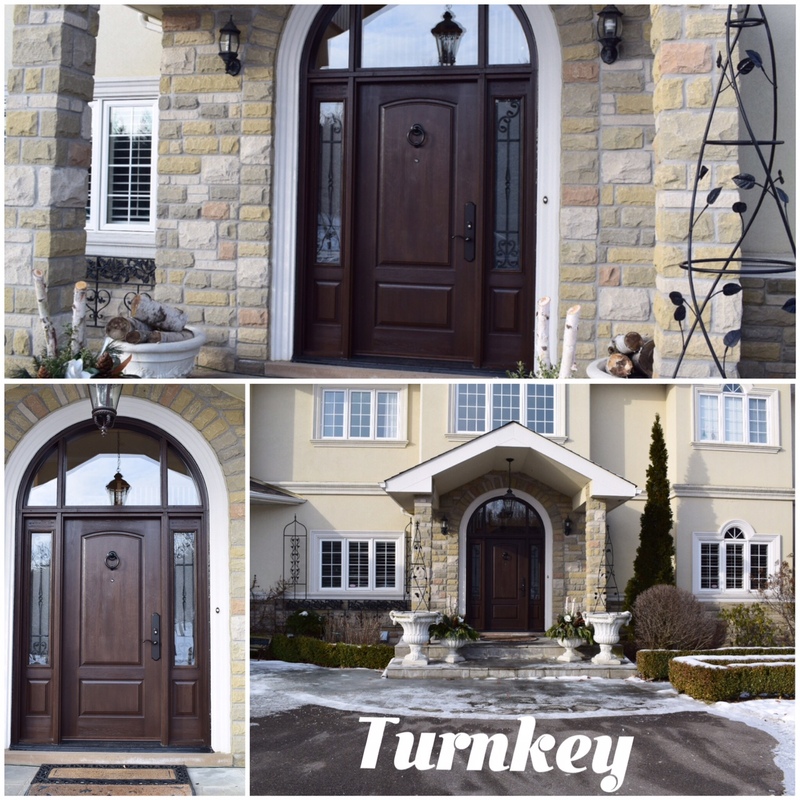 Our fiberglass doors are made in Canada and looks like real wood and perform really well in our climate. Highly energy efficient with an R-20 value. Fiberglass doesn’t rot, dent or rust and requires minimal maintenance. 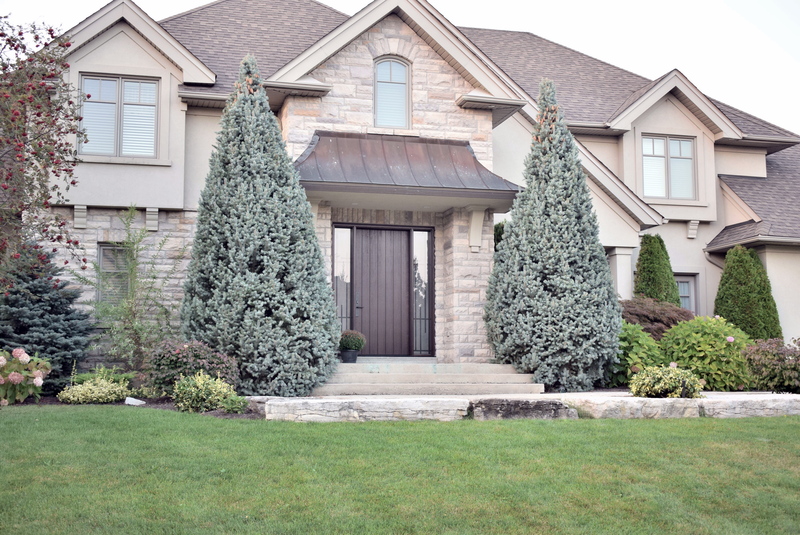 Our fiberglass door remains the most authentic and sought after front entry doorways. We make the best fiberglass doors. You probably would hear this statement from a lot of door manufacturers however with us you get to see our beautiful workmanship by visiting us. We’ll gladly provide you with addresses of projects we have done in your neighbourhood. All doors in our gallery are fiberglass doors we have built and installed. The transformation gave this home a complete fresh look. The colours picked nicely complemented the sidings and the windows. 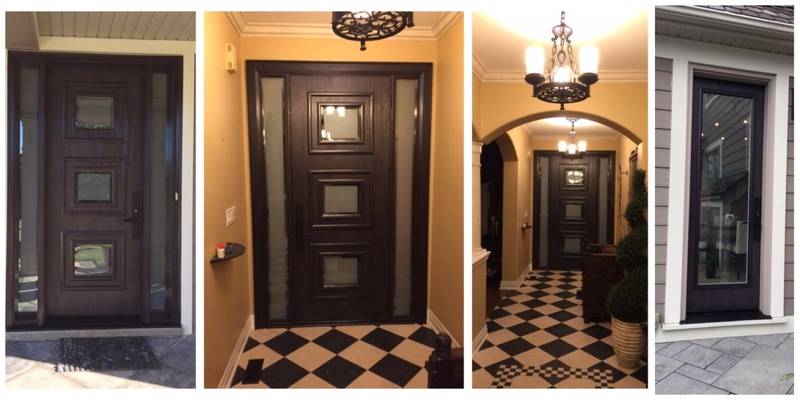 The Ebony stained doors enhanced and made this Mississauga home stand out on the street. Creative design, beautifully handcrafted and flawlessly installed. We build our reputation by continuously doing what we are extremely good at. We compete against ourselves. Our commitment to quality shows in the quality of our fiberglass doors. Visiting us will deepen your appreciation of the work we do. 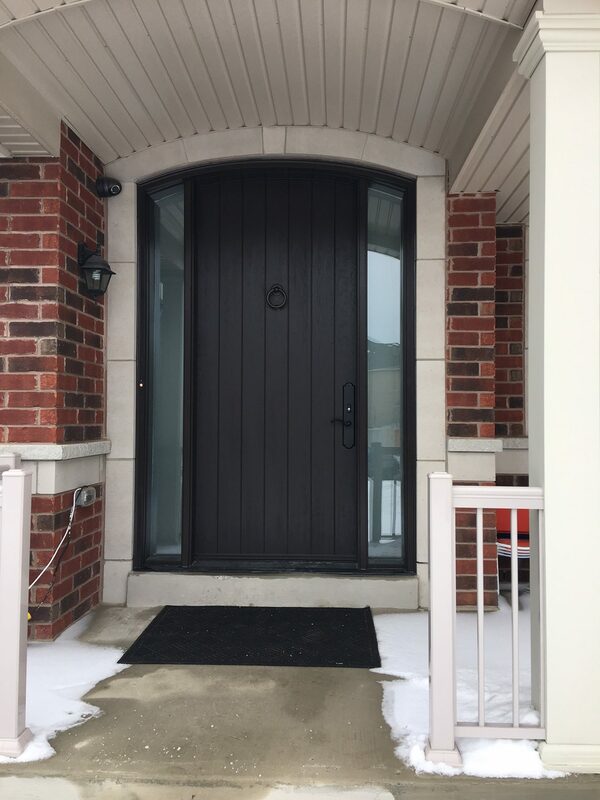 How a beautifully crafted quality fiberglass door can compound the value of your investment. Even with the renovations still in progress this home is already showing a good curb appeal with the new door. 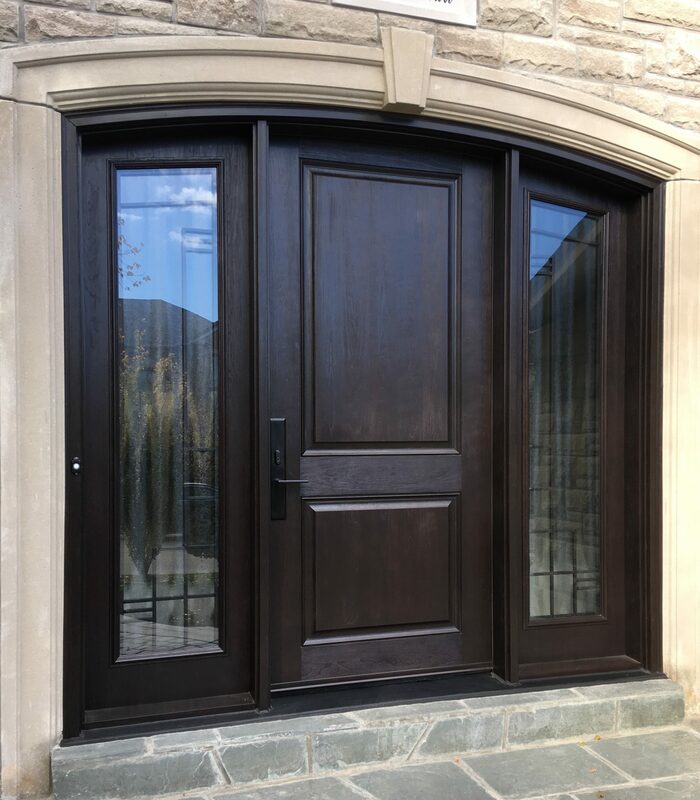 Our cappuccino stained door and the black composite frame complement each other really well.